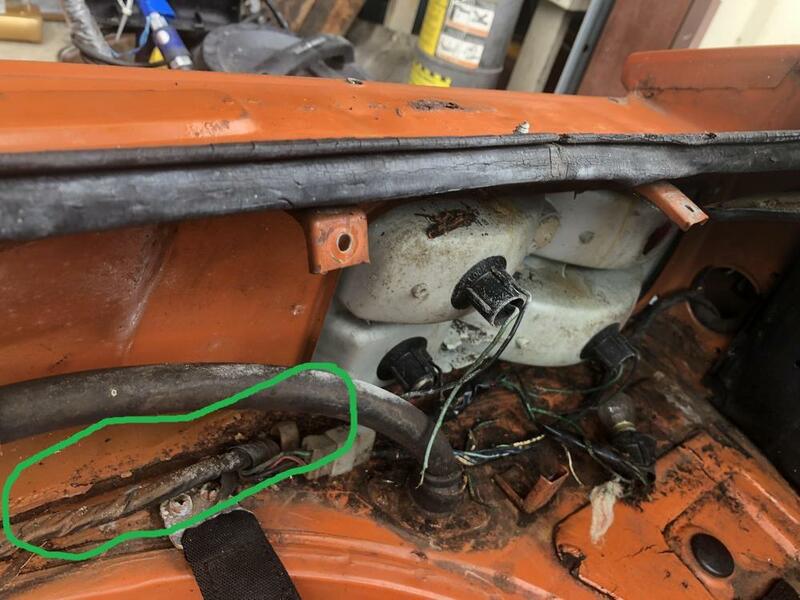 from the photos that have been posted so far I have not seen "tell tale signs of a lot of rust evenly distributed all over the car". That seems to me to be a pretty broad / negative statement. Well maybe that's because you don't know what to look for, it also is not a broad statement it is a very specific statement. 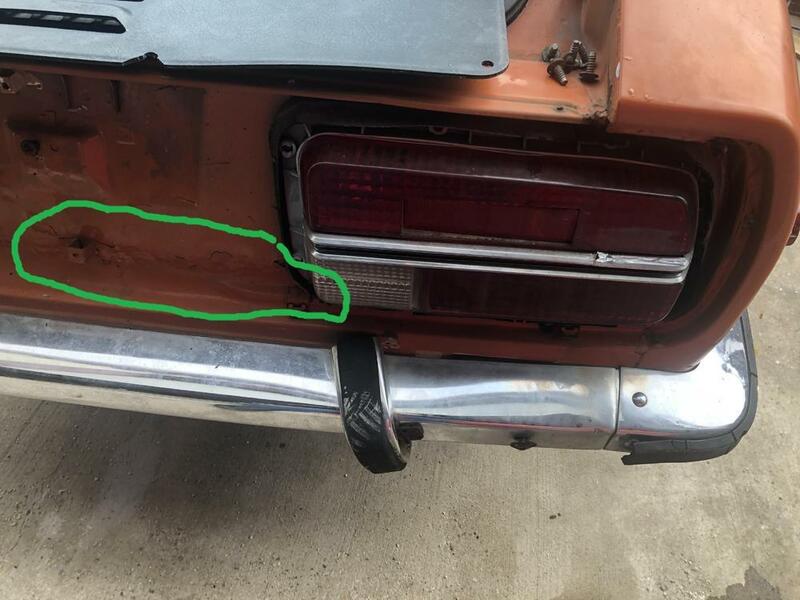 Anyone that has actually worked on repairing rust knows that that dime sized spot of rust that has popped through from inside is in fact 4-5" in dia. if not larger. 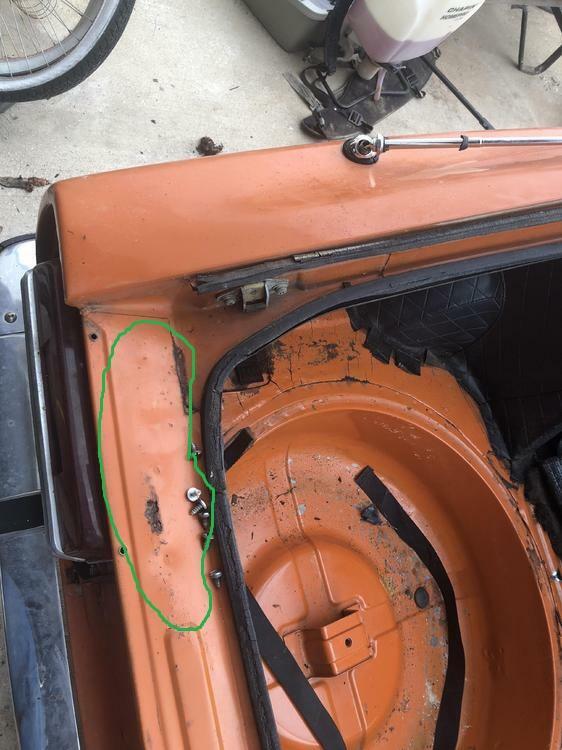 Lets start on the deck lid that you think is perfect, that 3" piece of visible rust actually goes from the D/S fender to the middle of the deck lid as seen by the swelling between the spotwelds and that means almost certainly the vertical support for the deck lid will need repair as well. 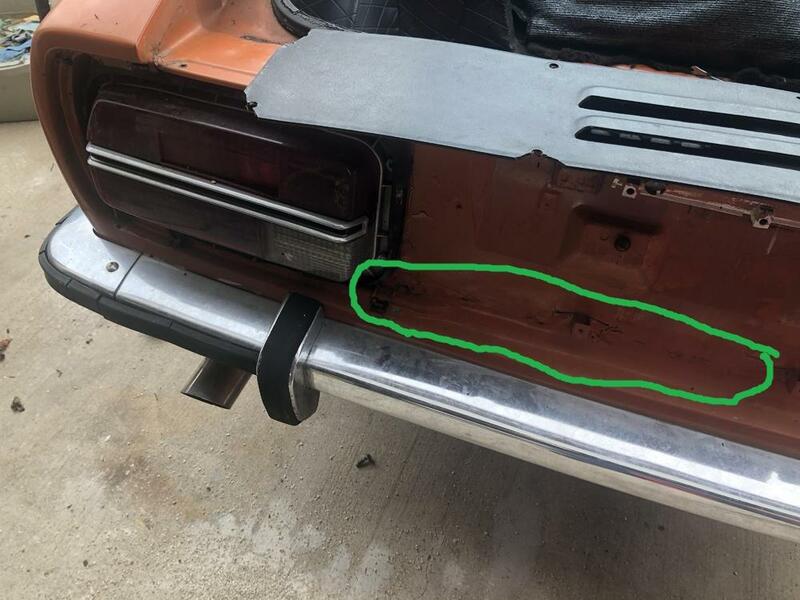 This common area of rust started on the inside behind the show panel and has eaten its way through to the outside all the way across the back of the car and I can tell you from experience that is a difficult, expensive repair. The rust in this area around the gas filler door will be much larger than it appears to be and will require the spot welds to be drilled out and the box behind removed then the damaged area will need to be cut out and replaced with a custom fabricated piece of 20ga sheet with the exact compound curves, body line crease and bead rolled lip the gas door nests into. 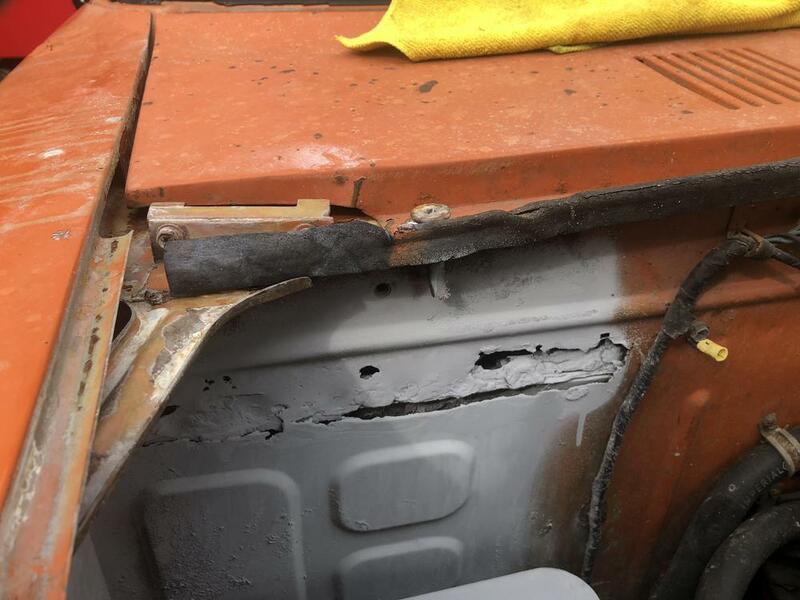 And here, replacing the visible damage on the firewall is the least of your problems, the fresh air chimney and the bottom of the chamber behind the firewall will need extensive repair first before the firewall replacement even begins. @Snaponfitz, in no way am I saying you are trying to sneak one by us or hiding anything, not at all. I just don't think you will get the kind of money for your car that was mentioned at the start of this thread. I would love to take this car on as project, it has great potential. Dang...we've gone from $40,000 to $4,000. So sad. Kidding. 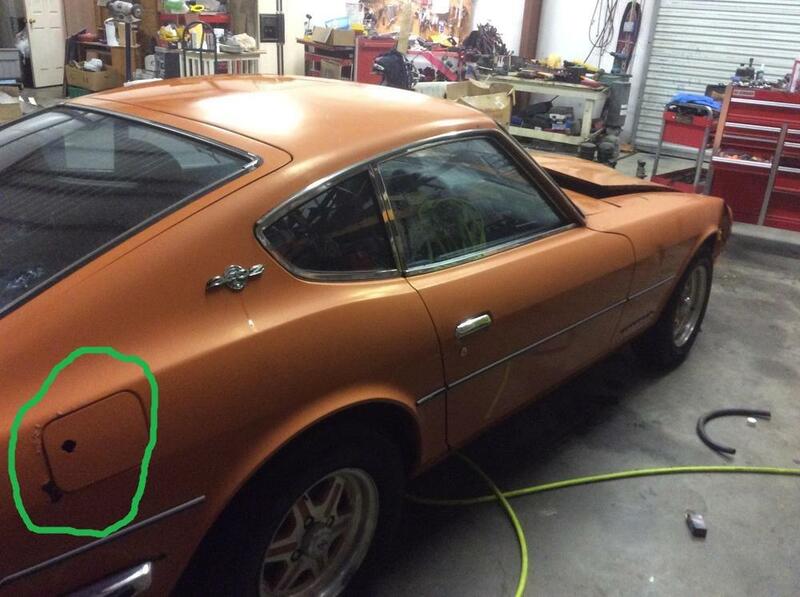 It looks like a fairly nice daily driver 240Z that a guy could restore a piece at a time. All the parts are there, except the front bumper. I didn't realize that granny had worked with so many Z's. Nice history. Still hoping for frame rail/under carriage pics. Looks to me like she's been sitting in the rain one too many times.